GSA launches enhanced debriefing pilot, but why not make it permanent? The perception that bid protests are mucking up the federal procurement process is one of those urban myths that will not die, like how Paul McCartney died in a car crash in 1966 or that the Air Force hides away UFOs in the desert. Despite the fact that these “theories” are continually disproven, the myths just will not go away. Plenty of people swear they hear “Paul is dead” when you play “Revolution No. 9” backward. For instance the most recent attempt to limit bid protests to improve acquisition is from the Section 809 panel. It recommended making substantial changes to the federal bid protest process by limiting vendors to filing before the Government Accountability Office or the Court of Federal Claims, but not both, as well as prohibiting protests of contracts for “readily available” products or services of less than $15 million. The Senate Armed Services Committee a few years ago tried to “restrain” bid protests by making it harder on contractors to bring complaints before the GAO. 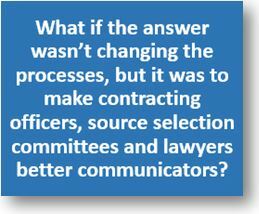 Despite the well-known fact that protests impact less than 1 percent of all procurement actions a year, there is this ever-present concern that bid protests are fouling up the system and a major part of the reason why federal contracting takes so long. As the Senate Armed Services Committee last week began its markup of the fiscal 2019 National Defense Authorization Act, a contractors group was pushing committee leaders to reject a Pentagon proposal to curb time-consuming bid protests. The Defense Department is proposing legislation to impose new constraints on government contractors’ ability to protest federal agencies’ award decisions, including by rolling back their rights to file bid protests in federal court. Currently, companies who believe an agency mishandled a contract award have two independent forums to file protests: the Government Accountability Office and the U.S. Court of Federal Claims (COFC). But some firms opt to take their cases to both. If, for example, GAO denies or dismisses their protest, they still have the right to file a new claim at the COFC. DoD’s proposal would essentially eliminate that option by requiring contractors to bring cases to COFC within 10 days of the agency’s award decision: the same deadline used by GAO. Since GAO has up to 100 days to sustain or deny a protest, a company could not wait and use the court as a backstop if it loses its case at GAO. The Court’s decision in Veterans Contracting Group, Inc. v. United States, No. 17-1188C (2017), is the third in a series of ongoing battles between the SBA and a self-certified SDVOSB. The cases involved an Army Corps of Engineers IFB for the removal of hazardous materials and the demolition of buildings at the St. Albans Community Living Center in New York. The Corps set aside the IFB for SDVOSBs under NAICS code 238910 (Site Preparation Contractors). The $50 billion Alliant 2 IT contract is again on hold following a third series of bid protests, this time in the U.S. Court of Federal Claims. Tysons Corner, Virginia-based OBXTek filed a lawsuit in November with the U.S. Court of Federal Claims, and Falls Church, Virginia-based Centech did the same on Dec. 26—days after its bid protest and others were dismissed by the Government Accountability Office. A General Services Administration (GSA) spokesperson told Nextgov the agency “is honoring a performance stay as a result” of the latest protest, the contract’s third delay due to protests. In November, GSA awarded 61 vendors a piece of Alliant 2, a governmentwide contract that will supply IT goods and services to agency networks for the next decade. 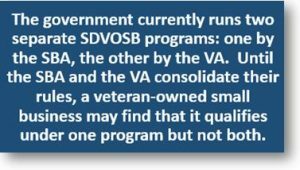 Veteran-owned small businesses have long grappled with seemingly benign drafting inconsistencies between Small Business Administration (SBA) and Department of Veterans Affairs (VA) regulations that can leave a business qualified as a Service-Disabled Veteran-Owned Small Business (SDVOSB) by VA standards, but not at the SBA (or vice versa). One such puzzler is the requirement for unconditional ownership by a service-disabled veteran, a requirement that is common to both SBA and the VA, but for which the VA provides a substantially more detailed definition. With: 38 C.F.R. 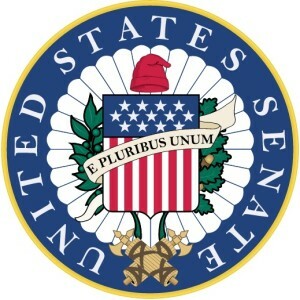 § 74.3(b) (adding that “[o]wnership must not be subject to conditions precedent, conditions subsequent, executory agreements, voting trusts, restrictions on assignments of voting rights, or other arrangements causing or potentially causing ownership benefits to go to another (other than after death or incapacity)”). This additional detail has created some conflicting results, which is not helped by divergent interpretations of unconditional at SBA and the Court of Federal Claims, all of which has left many a veteran business owner (and more than a few legal practitioners) scratching their heads. In Veterans Contracting Group, Inc. v. United States, No. 17-1015C, (Fed. Cl. 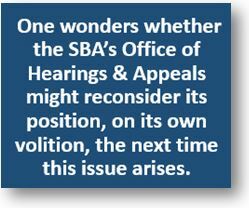 Aug. 22, 2017), the Court examined the same facts that the SBA Office of Hearings and Appeals did in a recent decision addressed in the SmallGovCon blog post of September 19, 2017. And, examining the very same facts, the Court reached the opposite conclusion. In the case of Defense Base Services (DBSI), the contractor protested at GAO when the Navy excluded them from phase 2 of a two-phase design-build competition for construction projects in Guam. DBSI felt that the agency had improperly evaluated its phase 1 proposal. In response, the Navy argued that DBSI had failed to include a legally binding teaming agreement in their proposal, a necessary component as specified in the RFP. DBSI conceded that their proposal was missing this critical piece, but felt that the Navy’s Contracting Officer should have asked for clarifications, which would have allowed them to remedy the defect. 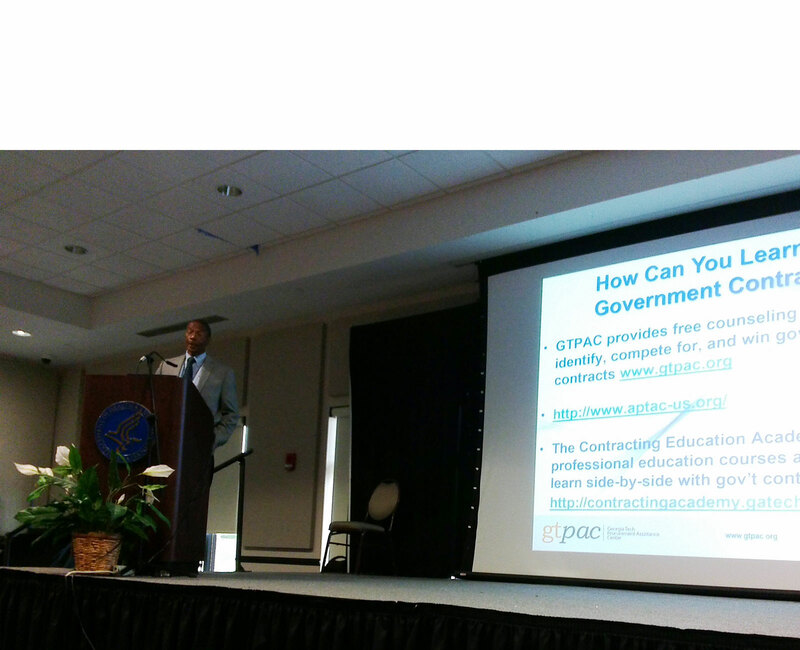 GAO took the stance that clarifications were not appropriate for two reasons. First, clarifications were optional with the agency. Second, they were not appropriate here because the missing agreement was additional substantive information and not a mere clarification. 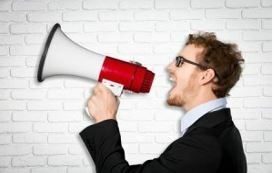 The solicitation had warned offererors that proposals deemed unacceptable in terms of technical evaluation would be removed from the competition. So ultimately, GAO sided with the agency.